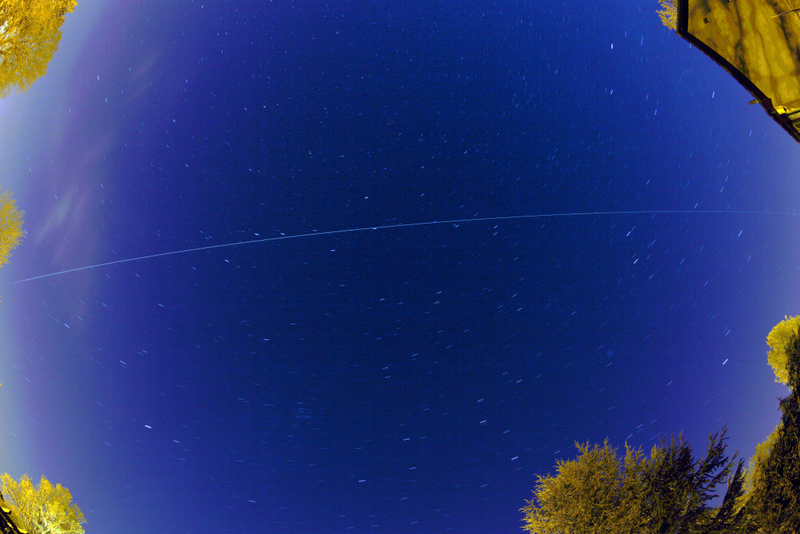 Passing almost directly overhead (83 degees) on 22nd April 2011 were the automated Russian cargo vehicle Progress 41P and the International Space Station. Progress 41P first appeared in the West at 9:48 p.m. followed just one minute later by the International Space Station (ISS). Both disappeared from view in the ENE at an elevation of 25 degrees. In this image both tracks are overlaid as they were both in the same orbit. It was a fantastic sight with just a layer of thin high cloud preventing perfection (and preventing me from imaging). Previous PostTrue colour image of the Veil nebula region in CygnusNext PostThe International Space Station on 23rd April 2011 – crossing started 10:14 p.m.